Home News ROPE. WRESTLE. REPEAT. 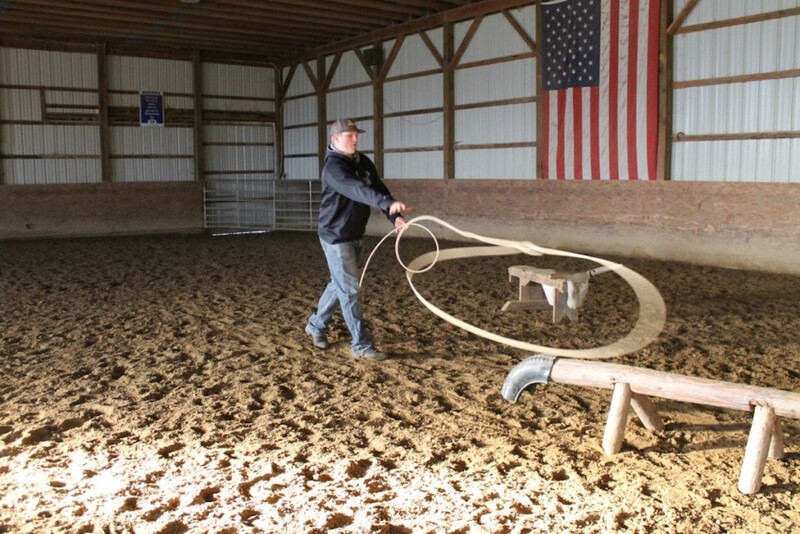 Tyler Zebrovious is addicted to roping, practicing in the off season at his home in Fredonia, Pennsylvania. FREDONIA, Pa. — As a young boy, Tyler Zebrovious asked Santa for “more ropes” for Christmas. Now, at 16, not much has changed. 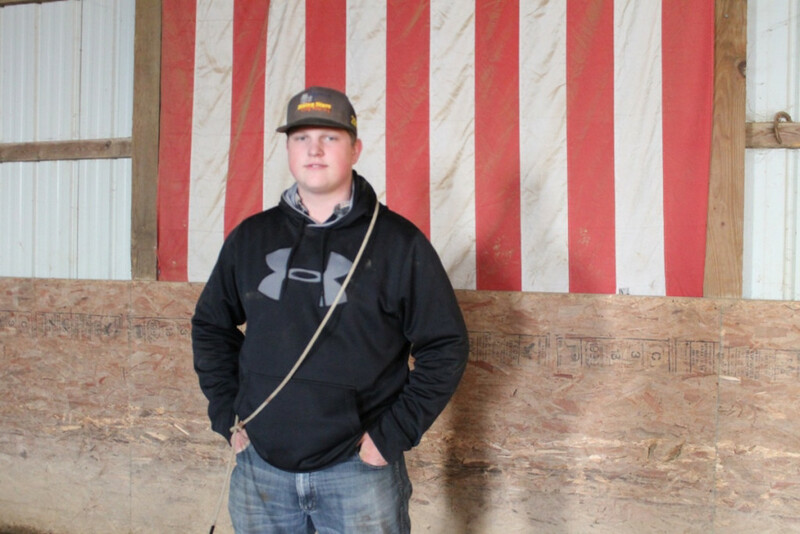 For Zebrovious, of Fredonia, Pennsylvania, the endless hours with a rope in-hand has paid off: The high school junior has qualified for the National High School Rodeo the last two years. 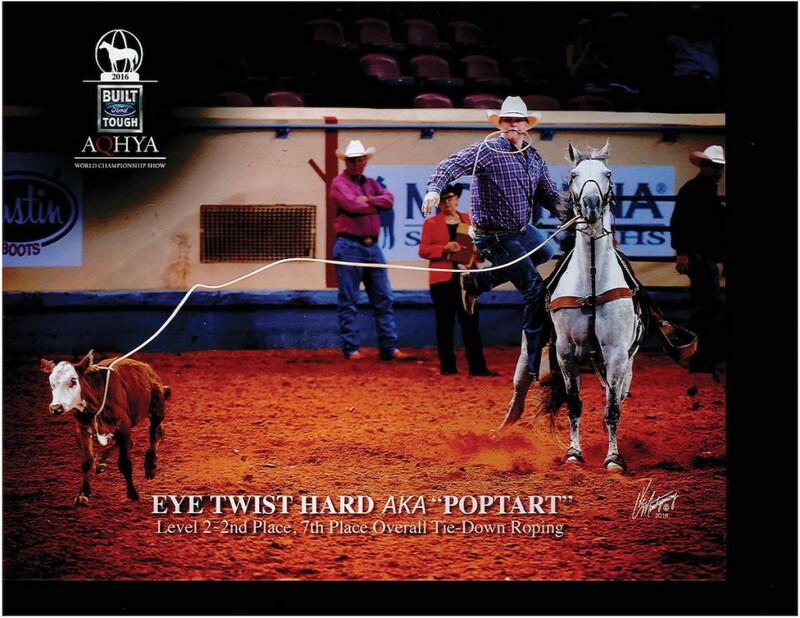 This year, he did so during the All American Quarter Horse Congress in October, winning multiple events including the youth dally team roping, youth breakaway roping; and placing second and third in youth calf roping on two different horses. Tyler qualified four horses — Damrons Red Man, Graves Derby Pepper, Eye Twist Hard and Graves Bailey Pepper — for the national competition, which will be in Wyoming next July. 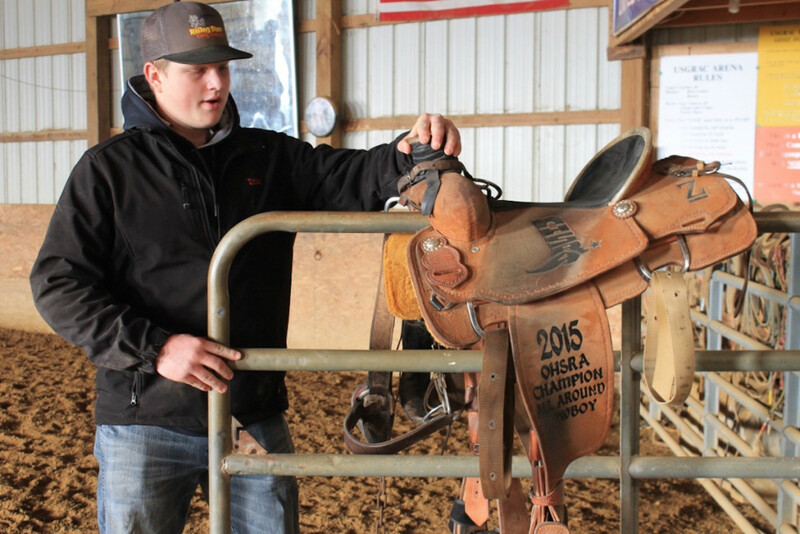 Tyler, a third generation roper and junior at Lakeview High School, is no stranger to success, as he was honored with both Ohio High School Rodeo Rookie of the Year and Cowboy of the Year in 2015. 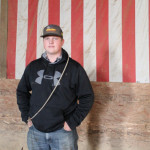 Dave Zebrovious, Tyler’s father, also enjoys roping and has competed and won many events, learning from his own father who roped in Wild West shows across the country. Dave and Tyler have also won roping competitions together. He says the sport teaches responsibility, ownership and discipline. “Success doesn’t fall out of a tree, you have to work for it. 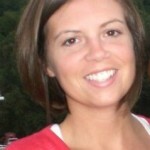 Rodeo puts you in pressure situations, helping youth to think and act on their feet,” Dave said. Tyler has had a rope in his hand since he was 3 or 4 years old, recalls Dave. The teen has won four saddles, more than 50 belt buckles and many ribbons and trophies over the years. It seems to come natural to Tyler, but it is all about the offseason, he said. In the offseason, during the winter, Tyler practices every night in between school and wrestling practice and matches. He enjoys being out in the barn and keeping his skills sharp, and practices on dummy animals and live calves, steers and goats. He admits that, if allowed during the summer, he would practice all day. 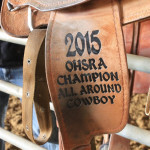 The Ohio High School Rodeo Association is more than rodeo competitions, there is leadership training through activities and roles within the association. The association also offers scholarships and serves as a link to university rodeo recruiters, Tyler said. 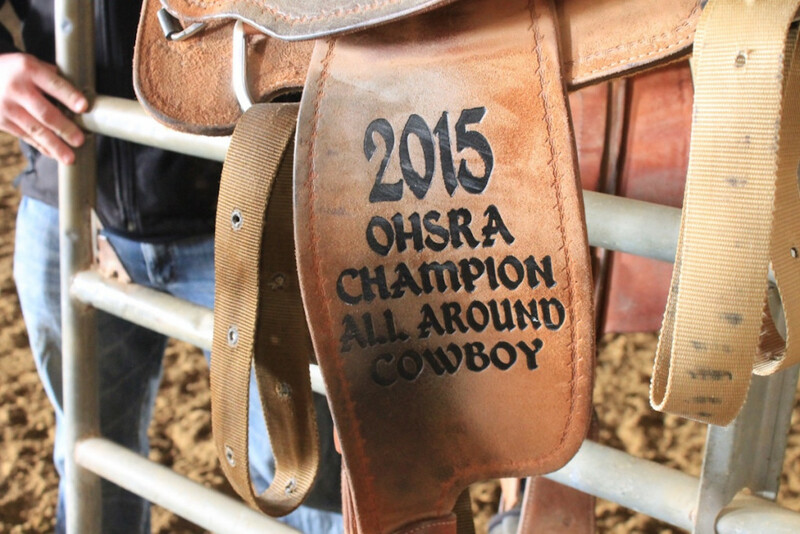 Tyler has taken on a leadership role in OHSRA as well, as a student event director for steer wrestling. 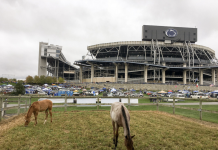 Although Pennsylvania does have a high school rodeo association, most of the events are on the eastern side of the state, making his involvement in Ohio’s group more convenient. As Tyler’s awards add up, so do the expenses. 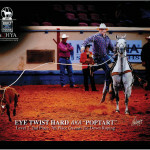 “A good horse is normally $10,000 or more, calving ropes are $40 a piece and Tyler goes through 10 to 15 a month. They just get worn and once they get past a certain point, they don’t allow you to perform at your peak,” Dave said. All of the horses Tyler competes on are registered Quarter horses, which he thinks have the most sound mental ability and discipline. At the Zebrovious family ranch, Circle Z Bar Ranch, they teach roping, riding and a lot of safety to all ages. At the ranch they have anywhere from six to 12 calves, 25-30 steers and 20 horses at all times to use in practicing and training. 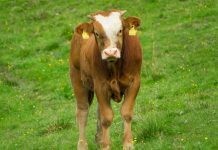 “While training kids, it is important to have the right cattle — safety is important. 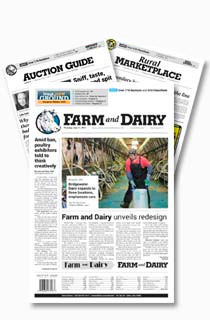 We use protective head gear on the cattle when we train to reduce injuries,” Dave said. With indoor and outdoor arenas at the ranch, they teach lessons year-round and help youth and adults get involved in roping. A low cost way to get started is goat roping, which is also a lot of fun, said Dave. He started the United States Goat Roping Association nearly a decade ago. The Zebrovious family travels across the country to compete in roping events, and many times, Tyler has to bring his school work with him so he doesn’t fall behind. He keeps focused on getting better each day so he can move on in the sport. Tyler knows the next step is to join a university rodeo team, but he is not sure where he wants to go yet, and he is still undecided on a major. He will get back to competing in the spring, but the winter offseason means more training, so he ropes a dummy steer, over and over, before heading to wrestling practice. Tyler Zebrovious has won four saddles, more than 50 belt buckles and many ribbons and trophies over the years. He contributes success to practice in the offseason.